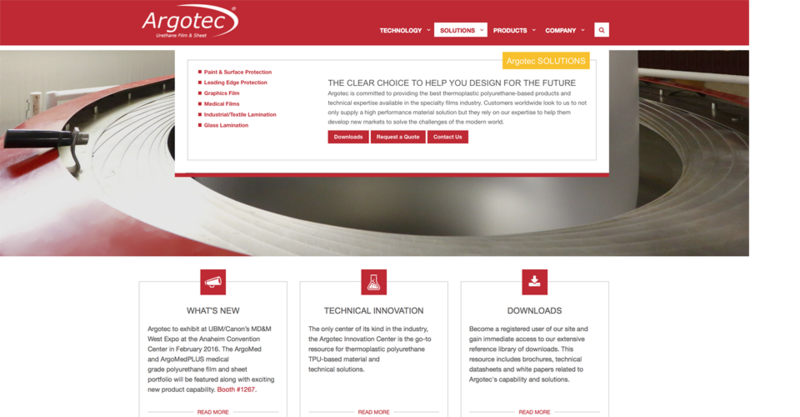 Argotec, LLC a leading global supplier of custom engineered, high performance thermoplastic polyurethane film and sheet contracted us to lead the design and development of a new website and establish a digital marketing strategy for the business. As part of the redesign we implemented social media channels to build an online presence for the company. The old website was out-of-date, confusing to navigate and did not project the business as an industry leader or support the requirements of effective digital marketing. 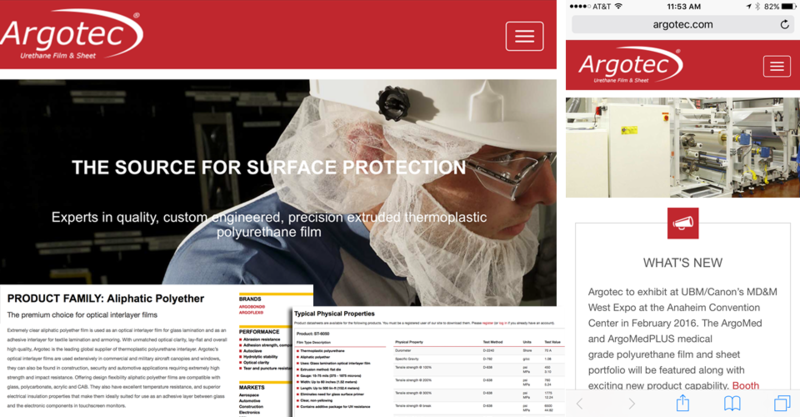 Argotec needed a website that would portray a high quality, professional image of the company and reflect its position as an industry and technical innovation leader. To support its growth objectives Argotec needed a platform that would improve quality of leads, attract new customers and increase overall lead generation and customer satisfaction. After thoroughly assessing the business and functional requirements we designed an information architecture that set the foundation for Argotec’s new digital infrastructure. The new website showcases the business technology and product capability in a compelling manner. The design serves to modernize the brand and reflects Argotec’s brand strength and position as the industry leader. Employing the latest technology and web design standards the site has improved usability and functionality. The navigation is intuitive and easy to use. The responsive design provides a scalable layout that is optimized to present rich technical information in an easy to view manner on any end use device. The platform is database driven with integrated search to provide quick access to content and has a built-in CMS component to facilitate content updates. Basic registration has been implemented to establish a database that the company can leverage to run targeted digital marketing campaigns. 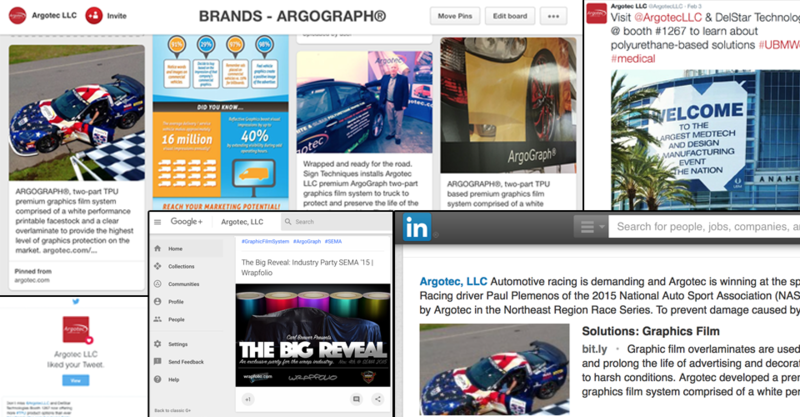 Our ongoing engagement with Argotec is focused on managing the company’s social media presence and leading strategic digital marketing initiatives.